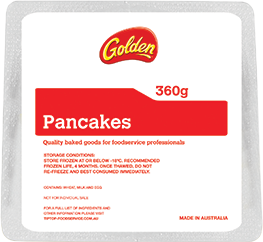 Warm Golden Pancakes as per packet instructions. 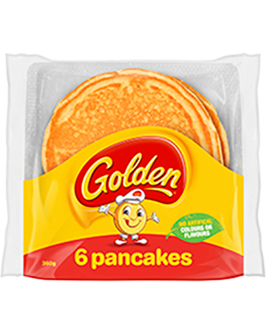 To assemble: place one pancake flat on each serving dish; split lemon curd evenly between the two pancakes, spreading from the centre outwards; add scoop of ice cream on one quarter; on another quarter add sliced mango, then on another add half passionfruit to each pancake; add dollop cream to remaining quarter. Stay up to date with recipes and news from Tip Top Foodservice by signing up to our monthly newsletter, designed to help you and your business.